Dermatology in Russia (ISSN 2077-3544, Dermatol. Ross.) is a registered electronic edition, covering all significant events in Russian Dermatology since 2008. Dermatology in Russia is an independent, growing professional community and a feature-rich distance learning solution for postgraduate education in dermatology, venereology and aesthetic medicine. The 5th All-Russian Congress on Dermoscopy and Skin Imaging was convened in Moscow on March 16-17 during X International Forum of Dermatovenerelogisits and Cosmetologists, 2017. At the Congress, the first ceremony of awarding the Golden Dermatoscope took place. The Golden Dermatoscope is awarded annually for significant achievements in dermoscopy and non-invasive diagnosis of skin disease as well as for outstanding academic career in dermatology and fighting skin cancer on the national and international levels. Two Russian dermatologists were awarded during the ceremony. Dr. Alexey Getman, MD, Ph.D. became the Laureate of 2015, for his initiative of Russian consensus in dermatoscopic terminology and the illustrated textbook he published based on the nation-wide consensus. Dr. Vladimir Dobrovolskiy became the Laureate of 2016 for his effort in free education and almost everyday mentorship for beginners in dermoscopy, publishing own and commenting their dermoscopic cases in the cloud network of Russian Dermoscopy Society. Dermatology.ru - the largest teledermatology network since 2016 embraces over 21000 clinicians from Russia, CIS and overseas. In 2016 alone, the network provided 109 professional broadcasts, offering over 300 hours of CME with free access to 49243 registered healthcare professionals from 322 cities of Russia and 53 nations abroad. The audience have sent 6145 questions to faculty, resulting in weeks-long discussion on 2082 major topics. On average, one broadcast attracted over 397 clinicians and 55 questions for open discussion. Before January 2017, dermatology.ru subscribers have authored over 7100 explicitly described clinical presentations and more than 2000 cases of dermoscopy illustrated by over 23000 photographs. Map of dermatology.ru weekly broadcasting audience. How many dermatologists in Russia use the Internet professionally for their clinical work? Synovate Comcon has already calculated this, gathering data for their Medi-Q survey on 'Practitioner's opininon'. Dermatology.ru, the online journal you are now reading, leads the 2015 survey results, being referenced by 35% of dermatologists (raising from 26.8% in 2013). It is the only successful clinical specialty website in Russia so far, since clinicians of other, less happy branches of medicine, nominate Rx registries and general journals, but not their specialty professional resources. On top of that, Dermatology.Ru's popularity value among clinicians outclasses the share of 5 largest medical online communities taken together! Less than 3.5% of Russian dermatologists use English-language professional websites regularly. One can understand them: almost everything can be found here. 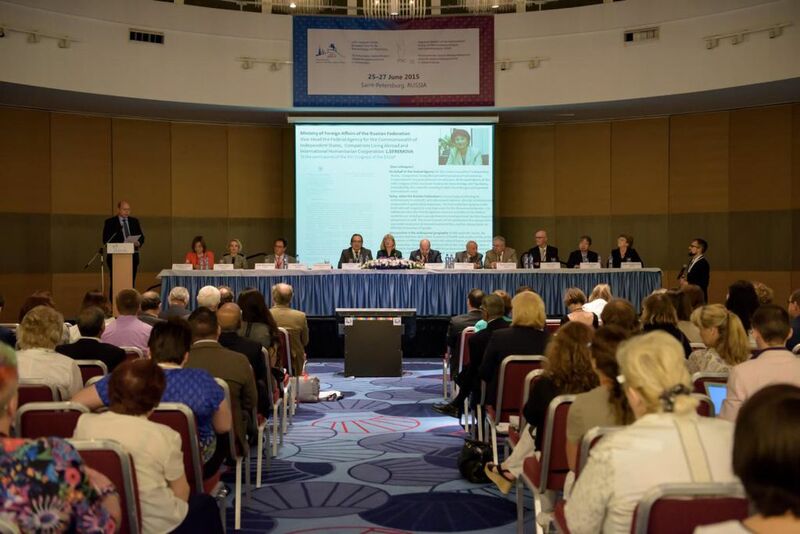 The XVI European congress of dermatologists and psychiatrists took place in Saint-Petersburg on June 25-27, 2015, together with Regional session of International Forum of Dermatovenereologists and Cosmetologists, chaired by Prof. Nikolay N. Potekaev. Over 500 clinicians participated, including 226 international delegates from 45 countries. Much of the success of the meeting was achieved by the effort and influence of Prof. Andrey N. Lvov (Moscow), the leading researcher in the field of pshychosomatic dermatology. The Fourth World Congress of Dermoscopy and Skin imaging was conducted in Vienna (Austria) on April 16-18, 2015, (President - Prof. Harald Kittler). Russian Society of Dermoscopy has sent to the Congress the official delegation, including the Chairman, Dr. Vasiliy Sergeev MD, Ph.D. (Board member, IDS), and the Board members Dr. Mikhail Ustinov and Yuri Sergeev Jr. Russian delegates made 3 oral presentations, including 2 at the session Dermoscopy around the world. The Chairman shared his vision of Russian Dermoscopy, originating from first publications of 1924-1928 to original (yet unknown in the West) developments of Soviet era, and to numerous advances of nowadays. Dr. Sergeev underscored the importance of Russian national tradition in dermoscopy maintained by the Russian Society, convening nation-wide congresses and awareness campaings, supporting activities from National terminology consenus to indigenous Russian monographs and dermoscopy devices. Concluding his talk, Dr. Sergeev presented the simple fact: in 2014, 18% physicians interested in dermoscopy in Europe were from Russia - as seen in Eurodermoscopy project, where Russian dermatologists from Crimea to Siberia took the first place (n=1481) among participating countries. Third international Mycological Forum was summoned by All-Russian National Academy of Mycology in Moscow, on April 14 and 15, 2015. Among the participants were 1085 scientists from Russia, neighboring countries and overseas. The forum was supported by European Confederation of Medical Mycology, FEMS and ESCMID. Clinical part of the Forum consisted of plenary and 19 breakout sessions, 7 symposia, 3 workshops including hands-on training in leading research labs of Moscow. An award session was conveyed with medals "Ob merita in mycologia medica" in the name of Abram M. Arievich (1896-1988) and Zinaida G. Stepanisheva (1913-2004) - founders of medical mycology in Russia - bestowed upon famous contemporary researchers: RAS members Prof. Alexander V. Karaulov, Prof. Alexander N. Panin and Prof. Victor A. Tutelian and Professors Sofia G. Lykova (dermatology) and Sergey N. Scherbo (inventor of first clinically successful PCR test for dermatophyte infections). 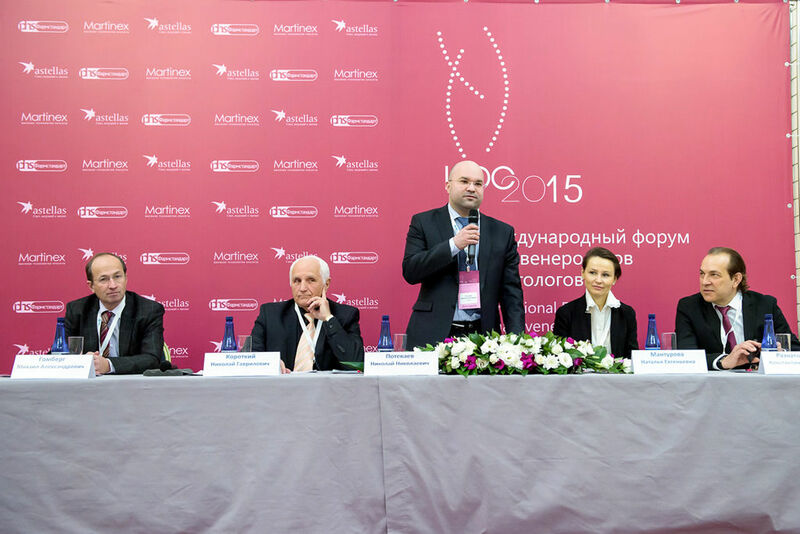 VIII International Forum of Dermatovenerologists and Cosmetologists took place in Moscow on March 18-20, 2015. Over 1500 healthcare professionals participated, attending 27 breakout sessions, 12 symposia, 4 workshops, together with clinical case series, discussions and seminars. As an important part of the Forum, III All-Russian Congress on Dermoscopy and Optical Diagnosis of skin again attracted hundreds, with session hall being overcrowded by enthusiastic physicians both from dermatology and oncology fields. They were happy to learn about two new indigenous dermoscopy systems developed in Russia under the auspices of the Society and by the deeds of its leader, Dr. Vasily Sergeev. The Interregional Society of Teledermatology has concluded its educational programme of 2014 with traditional videoconference "Results of this year" on December 25, 2014. Through the year, the Society conducted 103 major videconferences including 12 whole-day broadcasting from nation-wide congresses. Over 34 thousand educatonal sessions were registered, embracing dermatologists from 288 cities and regions of Russia, and 53 other countries. Our professional audience had adressed 4195 questions, with 1976 of them responded by the faculty. On average, for a standard 2-hour broadcast, we had 183 connected dermatologists online, adressing about 40 questions. Video database of the Society includes over 500 lecture records on almost every aspect of dermatology, venereology and cosmetology. Starting with educational broadcasting in 2007, the Interregional Society of Teledermatology (domicile in Moscow, Russia) has conducted 59 videoconferences in first semester of 2014, with 11677 connections from clinicians in 241 regions of Russia, CIS and overseas. The average duration of each broadcast exceeded 2 hours, and the professional audience sent 1943 questions to the faculty, that managed to answer 985 of these. Such activity clearly outperforms all traditional dermatological meetings conducted in Russia in the same period, taken together. The faculty was represented by 53 key opinion leaders in dermatology and allied clinical specialties. In 2014, the educational activities of our Teledermatology Society reached the new levels in both continuous and real-time webcasting, formation of subspecialty courses, installing the inter-university Board of Distance Learning in Dermatology, maintaining the repository of over 500 educational videos, international accreditation and developing the integrated e-learning platform with personal educational track, automated evaluations and issuing of CME credits. In just 6 months we have provided the curriculum of 184 academic hours in postgraduate medical education. 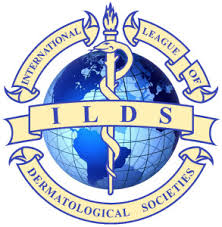 The Teledermatology Society has recently joined International League of Dermatology Societies (ILDS). The Sixth Russian Congress of Medical Mycology took place in Moscow, on April 8-10, 2014. 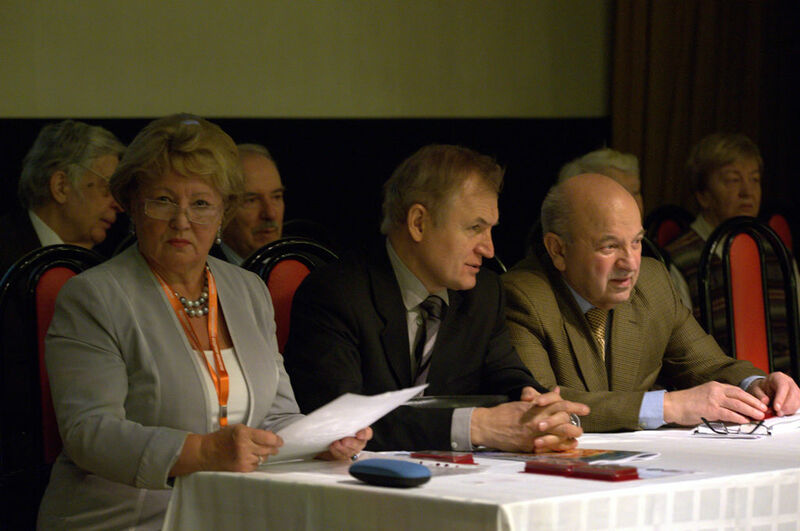 The Congresses, conducted by All-Russian National Academy of Mycology, serve as the only significant meetings in Russian-speaking community of medical mycologists in all republics of former USSR since 2003. The Congress of 2014 received support from major international organizations in medical mycology: ISHAM, ECMM and ESCMID. Total number of delegates this year exceeded 1100, with over 200 participants offered free webcasting in real-time. Traditionally, the dermatological part of the Congress agenda was rich, owing to the late Soviet and Russian school of medical mycologists founded by Abram Arievich and Zinaida Stepanisheva. The memorial medal 'Ob merita in mycologiam medicam' created to homor their names in 2013, this year was bestowed upon 5 clinicians, 2 of them being dermatologists: G.I. Sukolin (Moscow) and A.D. Yutskovsky (Vladivostok). Non-established researchers participating in Young Mycologists Forum were awarded with travel grants to attend major metings and courses abroad Russia in 2014-2015, and also with free subscriptions to key mycological editions. The Congress proceedings were published in XII and XIII volumes of 'Advances in Medical Mycology'.